The 2014 corn crop’s going to be 4% smaller than 2013, while soybean acres will grow, according to Monday’s USDA-NASS annual Prospective Plantings report. Those numbers were immediately bullish, but those bulls didn’t run far. And now, weather is again front-and-center in the trade’s mind, analysts say. The agency pegged the 2014 U.S. corn crop at 91.7 million acres, making it the smallest crop since 2010, yet the 5th-largest crop since 1944. For soybeans, USDA sees farmers planting 81.5 million acres this year, up 6% from 2013, with only 2 states — Missouri and Oklahoma — expected to see fewer acres than 2013. Wheat acres are seen just 1% lower than 2013, with winter wheat pegged at 42.0 million acres, according to Monday’s report. “Of this total, about 30.2 million acres are Hard Red Winter, 8.43 million acres are Soft Red Winter, and 3.35 million acres are White Winter. Area planted to other spring wheat for 2014 is expected to total 12.0 million acres, up 4% from 2013. Of this total, about 11.3 million acres are Hard Red Spring wheat. The intended Durum planted area for 2014 is estimated at 1.80 million acres, up 22% from the previous year,” according to the report. The March Prospective Plantings report from USDA is typically a big one. That’s not as much the case this year, says Don Roose, broker and analyst with U.S. Commodities in West Des Moines, Iowa. The reason: The spring planting weather that many are expecting to be on the inclement, cool, damp side is taking up most of the trade’s spotlight in terms of price influence. “This report was not the normal shocker. Weather is way more important going forward,” he says. Though the bullseye for the weather focus right now — potential planting delays from cool, wet conditions — remains inherently bullish, grain supplies remain high. Even with a potential cutback in acres or yield as a result, those supplies will limit price upside as a result of Monday’s USDA data. 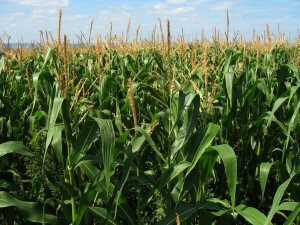 “We have ample supples: 1.6 billion bushels for corn over a year ago. We still don’t have the feared tightness we had in the old crop, and acres are ample to have a big carryout,” Roose says. “There’s going to be a lot of debate — historically, acres have grown from here. What happened to all the unaccounted acres? “Without weather we’re awash in grain,” Roose adds. Previous: Biologicals Q and A – What does the term Biologicals mean? Next: Biologicals Q and A – What Do Biologicals Do?